The first powerhouse round of earnings arrives as nearly every sector has a major player stepping out to report on Q1 numbers and guide for the full year during the holiday-shortened week. Looking ahead, Factset forecasts a 2.5% drop in Q1 profit for S&P 500 companies, but during the leadoff week of earnings 80% of reporting companies topped estimates. Beyond the beginning of the earnings blitz, something new arrives in the trade department as the U.S. starts its talks with Japan. Ahead of the meeting, there are already reports out that Japan plans to rebuff any requests from the U.S. for auto quotas or foreign exchange provisions. Prime Minister Shinzo Abe heads into the talks emboldened by new trade pacts with the European Union and 10 other partners left behind when the U.S. exited the Trans-Pacific Partnership. Fedheads will be out in full force next week, with the Beige Book report due out on April 17 and Charles Evans, Robert Kaplan, James Bullard and Patrick Harker all due to give talks. Also on the docket, there could be some Supreme Court orders and new cases announced that impact certain companies. Finally, it's your turn to have a say. Feel free to tell us in the comments section what you would like to see added to our Stocks to Watch series as we preview the week ahead every Saturday morning. Notable earnings reports: Goldman Sachs (NYSE:GS), Charles Schwab (NYSE:SCHW) and Citigroup (NYSE:C) on April 15; Netflix (NASDAQ:NFLX), IBM (NYSE:IBM), Bank of America (NYSE:BAC), Johnson & Johnson (NYSE:JNJ), United Continental (NASDAQ:UAL) and UnitedHealth Group (NYSE:UNH) on April 16; PepsiCo (NASDAQ:PEP), Kinder Morgan (NYSE:KMI), Abbott Labs (NYSE:ABT), Las Vegas Sands (NYSE:LVS) and Morgan Stanley (NYSE:MS) on April 17; American Express (NYSE:AXP), Philip Morris International (NYSE:PM) and Schlumberger (NYSE:SLB) on April 18; HNI (NYSE:HNI) on April 19. 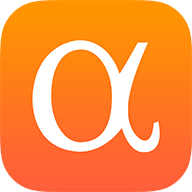 See Seeking Alpha's Earnings Calendar for the complete list of earnings reporters. Expected IPO pricings: A big week is on tap for IPO pricings, led by Pinterest (NYSE:PINS) which has set a pricing target of $15 to $17 to bring in around $1.2B and value the company at around $9B. Pinterest saw revenue jump 60% last year to $756M and is projected to see 45% growth this year to about $1.1B. Other pricing during the week include Palomar (NASDAQ:PLMR) and Brainsway (BWAY) on April 16 as well as Zoom Video Communications (NASDAQ:ZM), Brigham Minerals (MNRL), Turning Point Therapeutics (NASDAQ:TPTX) and Hookipa Pharmaceuticals (HOOK) on April 17. IPO lockup expirations: SI-Bone (NASDAQ:SIBN) on April 15; Osmotica Pharmaceuticals (NASDAQ:OSMT), Studio City (NYSE:MSC) and PhaseBio Pharmaceuticals (NASDAQ:PHAS) on April 16; LogicBio Therapeutics (NASDAQ:LOGC), Niu Technologies (NASDAQ:NIU) and SolarWinds (NYSE:SWI) on April 17. IPO quiet period expirations: Analysts will start buzzing about Levi Strauss (NYSE:LEVI) on April 15. Levi's priced its IPO at $17, above the target range of $14 to $16. Shares closed at $22.22 on Friday. It doesn't appear that Levi's management is getting ahead itself after the company posted a solid Q4 and seeing the share price bounce. "We're still facing some headwinds, including anticipated door closures at traditional wholesale customers, unrest in Europe, as well as Brexit, continued uncertainty around China tariffs, and declines in U.S. retail traffic," stated CEO Chip Bergh on the earnings call. Uber-Lyft: It's time to check in on the ridesharing space now that Uber (UBER) has filed for its IPO and with Lyft (NASDAQ:LYFT) already out in the wild. Lyft trades 17% below where its IPO was priced, while Uber is looking for a $100B valuation in what could be the largest IPO since Alibaba in 2014. Wedbush says it's bullish on the long-term opportunity for Lyft with robust growth prospects as the #2 player in a $1T transportation as a service market, although the vague path to profitability and the current valuation are seen as negatives. Uber is seen as a second option for investors to make a bet on the future of mobility and transportation with the clear market share leader. The firm thinks competitor focus for both will likely zero in on Waymo/Google and even the traditional auto sector which is investing in autonomous vehicles. Lawyerly stuff: The trial between Apple (NASDAQ:AAPL) and Qualcomm (NASDAQ:QCOM) begins in San Diego on April 15. The focus of the proceedings will be if Qualcomm used its monopolistic position to "double dip" in collecting royalties from Cupertino for its chipset technology. Apple CEO Tim Cook and other high-level executives could be called to testify. Projected dividend changes (quarterly): Pernod Ricard to €1.08 from €1.01, Unilever (NYSE:UL) €0.40 from €0.387, Carnival (NYSE:CCL) to $0.55 from $0.50, Celanese (NYSE:CE) to $0.59 from $0.54, Goldman Sachs (GS) to $0.85 from $0.80, Kinder Morgan (KMI) to $0.25 from $0.20, Oneok Inc (NYSE:OKE) to $0.88 from $0.86, People's United (NASDAQ:PBCT) to $0.1775 from $0.175, Parker-Hannifin (NYSE:PH) to $0.84 from $0.76, Southern (NYSE:SO) to $0.62 from $0.60, Whirlpool (NYSE:WHR) to $1.20 from $1.10, Healthcare Services (NASDAQ:HCSG) to $0.1975 from $0.1963, Sonoco (NYSE:SON) to $0.43 from $0.41, Universal Forest (NASDAQ:UFPI) to $0.19 from $0.18. Spotlight on Netflix: It's a big week for Netflix (NFLX), with the streamer expected to post revenue of $4.50B and EPS of $0.57 when it spills Q4 numbers. An even larger focus will be on the expected impact of price increases on Netflix's bottom line and churn rate, while the new Disney+ streaming service will be a conference call Q&A topic. Disney+ is rolling out with many NFLX-like features, including user profile personalization, content recommendations, parental controls and search capabilities. Spotlight on Johnson & Johnson: Key items to watch from the J&J report include the initial uptake and commercialization of Spravato (esketamine), the company update on future growth for key drivers Xarelto, Darzalex, and Imbruvica coming from given recent data releases and competitive dynamics in those markets - advises Credit Suisse. Also, look for the company's updated capital allocation and business development priorities to be spelled out after factoring in the closing of the Auris deal and divestiture of ASP. Shares of JNJ are up 5% YTD and trade at 24X forward earnings. Analyst/investor meetings: AMC Entertainment (NYSE:AMC) hosts an Analyst Day event on April 17 for a discussion about key elements of the movie theater operator's strategy including top priorities, the development of the AMC platform and growth initiatives across the U.S., Europe and the Middle East. Ultragenyx Pharmaceutical (NASDAQ:RARE) also has an analyst day event scheduled for April 17. M&A tidbits: JAB's tender offer for Coty expires on April 15. A potential takeout of Nielsen (NYSE:NLSN) could occur this week after two private equity firms made offers in a final auction round. World Vaccination Congress: Billed as the world's most exciting vaccination event, high-level execs from healthcare heavyweights such as Pfizer (NYSE:PFE), Merck (NYSE:MRK) and GlaxoSmithKline (NYSE:GSK) join government officials and private healthcare execs in Washington DC from April 14-17. There will also be new vaccine biotechs presenting on their pipelines, case studies and on how best to form public-private partnerships. One company to watch is Novavax, Inc. (NASDAQ:NVAX), with management slated to share data from its global Phase 3 clinical trial of ResVax. Bank of America Merrill Lynch 2019 Auto Summit: Group 1 Automotive (NYSE:GPI), Shiloh Industries (NASDAQ:SHLO), American Axle & Manufacturing (NYSE:AXL), Ambarella (NASDAQ:AMBA) and Ford (NYSE:F) are some of the companies due to make an appearance at the event. The Ford presentation will include discussion on how Ford has changed the way it works through product line management to help transform the company by leveraging its vehicle strengths, allocating capital to winning products and speeding up product development. The Ford talk arrives with shares up 23% YTD. New York International Auto Show: The press portion of the NYIAS event begins on April 16 before the show opens to the public on April 19. Press conferences are scheduled for Toyota (NYSE:TM), Lincoln (F), Mercedes-Benz (OTCPK:DDAIF), Hyundai (OTCPK:HYMLF), Subaru (OTCPK:FUJHY), Porsche (OTCPK:POAHY), Genesis, Mazda (OTCPK:MZDAY), Kia, Nissan (OTCPK:NSANY), Ford (F), Maserati, Polaris (NYSE:PII) and Hypercar. Models expected to be debuting in New York include the Hyundai Venture, Lincoln Corsair, Range Rover Velar, Mercedes GLC Coupe, Hyundai Sonata, 2020 Toyota Highlander, 2020 Subaru Outback, 2019 Maserati Levante SUV and Cadillac (NYSE:GM) CT5 sedan. Muscular Dystrophy meeting: Sarepta Therapeutics (NASDAQ:SRPT) is presenting details on its limb-girdle muscular dystrophy Type 2E gene therapy program at the 2019 MDA Clinical and Scientific Conference. Six posters highlighting data from Sarepta's RNA and gene therapy programs for Duchenne muscular dystrophy and LGMD 2D will also be presented. Wave Life Sciences (NASDAQ:WVE) is hosting a call to go over Suvodirsen DMD clinical data that is being presented at MDA. Biogen (NASDAQ:BIIB) is also presenting data on spinal muscular atrophy at the MDA conference. Notable annual meetings: Citigroup (C), Carnival (CCL), Whirlpool (WHR) and U.S. Bancorp (NYSE:USB) on April 16; Humana (NYSE:HUM) on April 18. Box office: Shazam! (Warner Bros) is forecast to top the box office for the second straight weekend with a haul of $23M. Debuting movies Lionsgate's (NYSE:LGF.A) Hellboy and Universal's Little are expected to battle it out for second place in the $16M to $17M range. Barron's mentions: CVS Health (NYSE:CVS) is profiled favorably in the cover story and given a shot at being a prime beneficiary of the disruption coming to health care. The huge buyout of Anadarko Petroleum is seen making drillers sitting on oil-rich land and offshore holdings look attractive. Diamondback Energy (NASDAQ:FANG), Concho Resources (NYSE:CXO) and Noble Energy (NYSE:NBL) make that short list. As for as pricey unicorns go, Pinterest (PINS) is called more intriguing than most. Also, investors should take a hard look at Novartis (NYSE:NVS) spinoff Alcon (NYSE:ALC), advises Andrew Bary. "The demographics favor Alcon, thanks to an aging global population and the increased incidence of myopia, or nearsightedness, around the world," he writes. Finally, Huntington Bancshares (NASDAQ:HBAN), KeyCorp (NYSE:KEY), Valero Energy (NYSE:VLO), Kohl's (NYSE:KSS), PepsiCo (PEP) and Medtronic (NYSE:MDT) are identified as attractive dividend stocks with higher yields than the S&P 500 and better forecasted dividend growth.